Are you searching for a free Latin translator? There are many free online translators that can help you translate anything from simple words to strange phrases. Many of the translators can provide grammar assistance as well as a thesaurus and a guide to popular phrases. At Translation-Guide you can get a basic translation of either simple text or an entire web page. InterTran actually provides the translations, but this free online Latin translator makes entering text or the web address simple. The interface is easy to use and just requires a quick click of the button to get a translation. Lingvozone offers some of the same free online services as other translators with a few extra features. You can get your words or text translated into Latin or English and you can also look up Latin words in the Latin Online Dictionary. Look up synonyms for Latin words in Latin using the online Thesaurus. 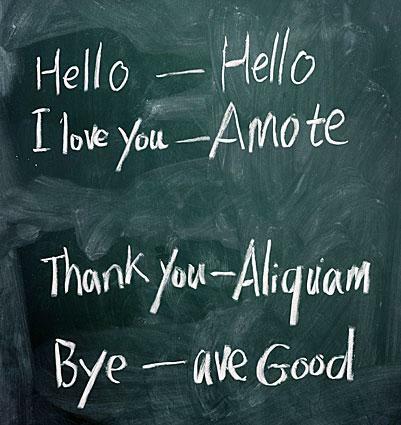 Check out popular phrases in Latin and see how they translate to English and back again. You can also print out over 3,000 phrases using the online phrase book. 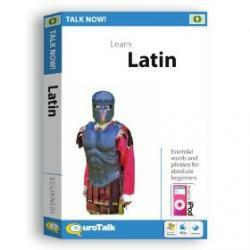 Set up flash cards to help you learn Latin, including both Latin to English and English to Latin. While a language translator can focus on taking words and phrases and putting them into Latin or English, it doesn't necessarily take into account grammar. For that purpose, you can use a tool such as the Latin Dictionary and Grammar Aid developed by the University of Notre Dame. The site offers basic prompts as well as gives you a download of a program to use offline. The site's search function helps you figure out words that you aren't sure fit grammatically in your Latin sentence or are not translating properly into English. With the ease and convenience of most online Latin translators, getting a phrase or word translated is simple. There is no reason that you should have a poor translation or a wrong translation from trying to remember your high school Latin if you use one of the many resources found online. Keep in mind that nothing can replace a live human translator. If you need an absolute perfect translation of text or a web page for business or school, you may want to invest in the services of a real translator.